Never snorkeled in Maui before? Snorkeling in Maui is simple, can be learned in a matter of minutes and mastered on your first outing. 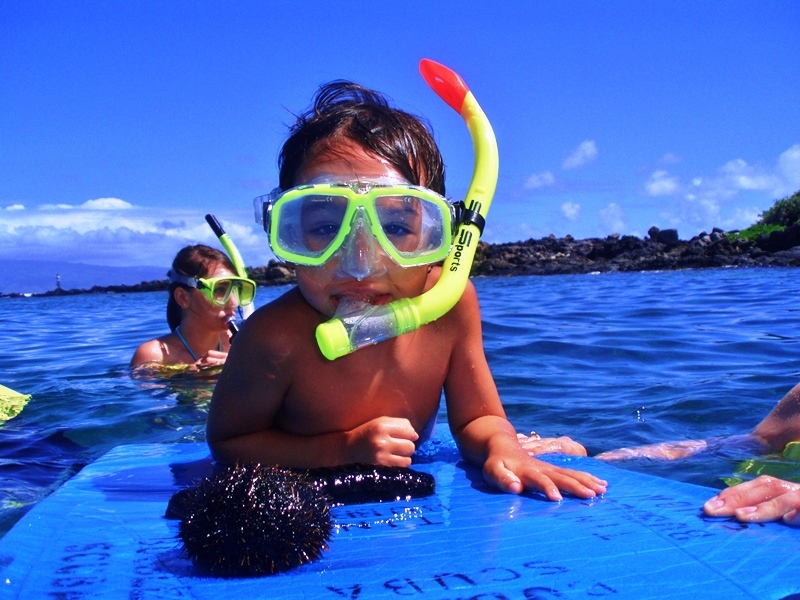 Snorkeling is easiest to learn with the assistance of one of the crew members on a Maui snorkel tour, trip or cruise. There are a number of reasons people love Maui snorkeling. The waters surrounding Maui are ideal for snorkeling as many of its most popular Maui snorkeling locations have great visibility. This is particularly true of the protected marine reserves such as Molokini and Honolua Bay which often have visibility in clear crystal waters in excess of 100 feet.